" Not very stylish, but neither is the rest of the gear we wear. They are effective at blocking any leaks around your eyes from irritating your eyes. " " Has helped greatly the dry eye problem I was having with my mask. Easy to wear and very comfortable. " The Quartz Eye Shield is a soft silicone-based mask that seals around the eyes to prevent dryness due to airflow. 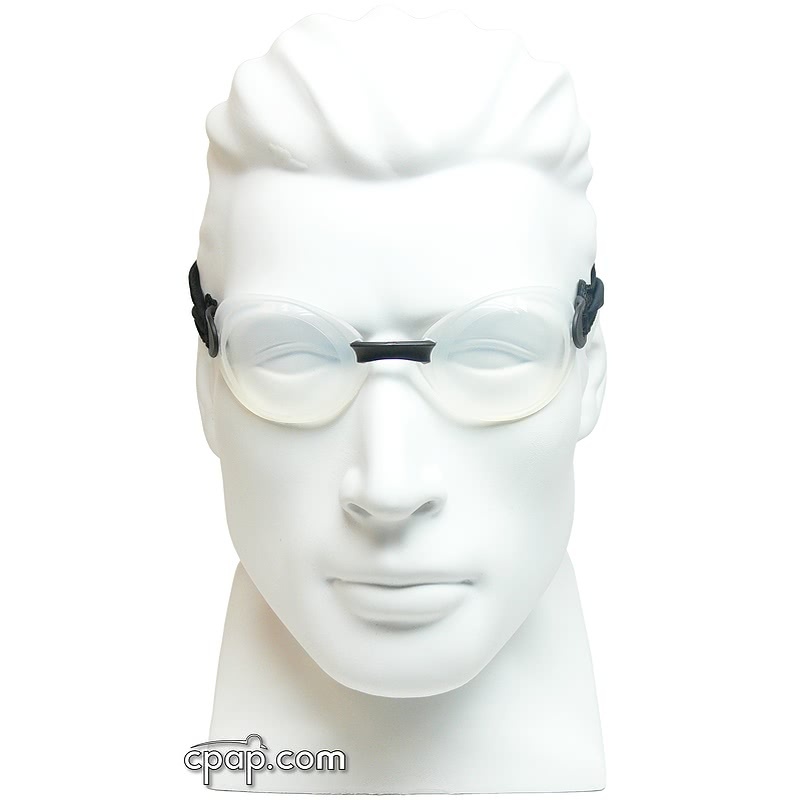 It is a clear mask that does not obstruct vision and may be worn anytime to protect eyes from losing moisture. The Quartz Eye Shield, like the Onyix Eye Shield, is worn to prevent eyes from drying out due to lack of moisture. CPAP masks can leak air into the eyes, causing dry red eyes. The Quartz provides a seal that blocks the airflow from reaching the eyes. The Quartz is a great alternative to the Onyix Eye Shield for those people who want to seal out the air leaks, but also want to be able to easily see with the mask on. 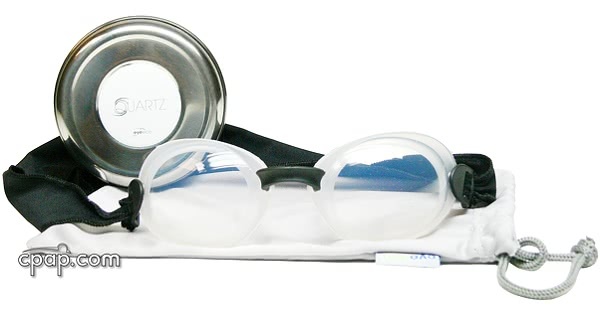 The Quartz is a clear, lightweight shield which fits over the eyes like swimming goggles. It is fastened by using an adjustable microfiber headgear. Unlike the Onyix, The Quartz can be used while awake or asleep. It can be worn directly underneath any CPAP headgear. This product comes with a 6 month manufacturer warranty. If you experience an issue with this product, please contact cpap.com at 1-800-356-5221 or by email at cpap@cpap.com and we will work with the manufacturer on your behalf.